Why would you use multiple air mover carpet dryers, plugged into several different electrical outlets to dry a large carpeted area? We've made it a lot easier by being able to use just a few of these side draft carpet dryers. They pull such low ameprage, you can plug multiple units into just one outlet. Each unit only pulls 2.2 amps on its highest setting, so you can plug several units into each other. With a 20' power cord, and 2 outlets on each fan, you can cover quite a large area, and move a ton of air, with just a few of these side draft fans. We do offer a very similar model, at an extremely economical price in our axial carpet flood dryers sections. 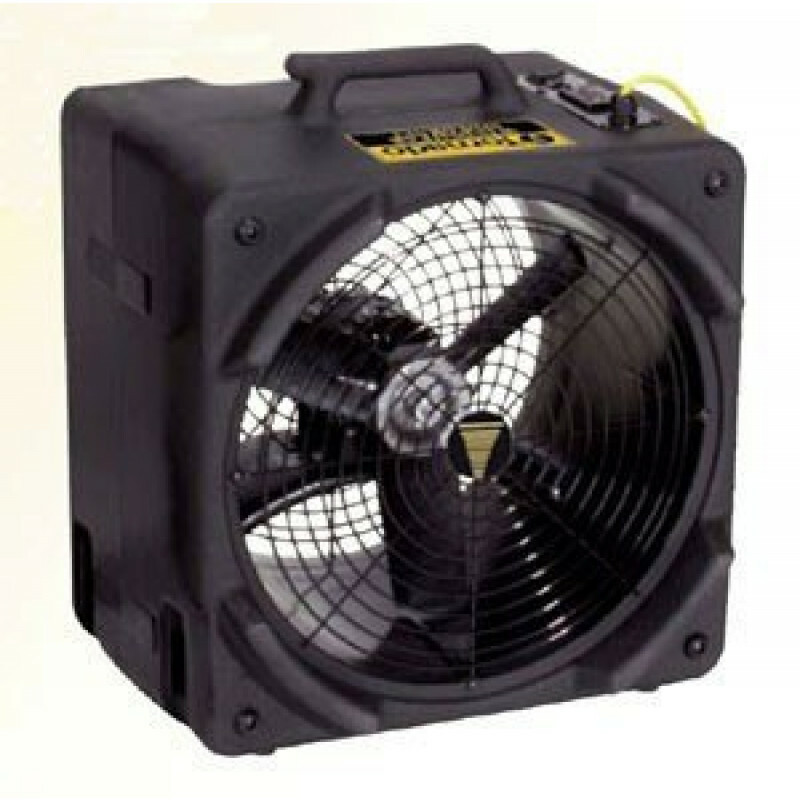 It is called our daisy chain flood drying fan, and will also blow 3000 CFM and only pull 2.2 amps. For an even more powerful series of fans, take a look at our barrel & drum fans, which features a 36" portable barrel fan that can move up to 10,954 CFM of air. You can easily plug up to 6 side draft carpet fans together into one 15 amp electrical circuit. Stack up to 5 units high for easy, out of the way storage. Incredibly low 2.2 amp draw allows you to daisy chain multiple units together. 6 different blowing positions and 2 different operating speeds give you plenty of versatility for every job. Great for drying flooded & damp areas, due to the .25 HP motor's incredibly low amp draw. GFCI outlet is built in, and perfect for the flood & restorative cleaning industries. Molded cord hook provides convenient side cord storage. This is a review for the Tornado® Windshear™ Side Draft Carpet Dryer.